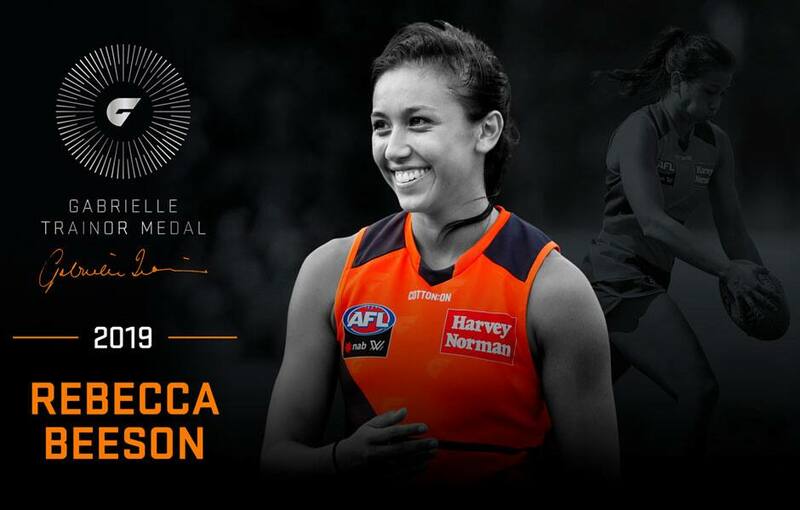 Rebecca Beeson has won the 2019 Gabrielle Trainor Medal, the GIANTS' AFLW club champion. She was given multiple roles throughout the year, playing as an inside midfielder, on the wing and sometimes at half forward. Her ability to use the ball well was pivotal in a number of our games.